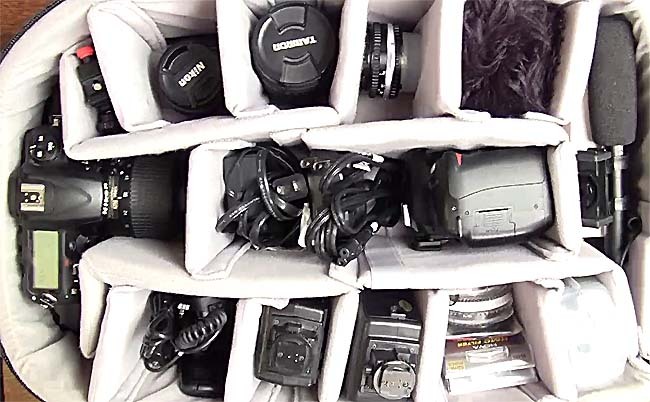 This video post will go over all of my photographic equipment, including DSLR cameras, lenses, flashes, light stands, tripods, audio and how to record high quality sound with a DSLR, and various camera accessories. Nikon D300s: This was the best camera on the market for me, but I ultimately dislike all cameras available on the market because of this reason. Nikon D50: My first DSLR. Still use it for panoramas and infrared work with the infrared filter. AF-S DX Nikkor ED 18-55mm 1:3.5-5.6G: I use this about 90% of the time. I should probably get the one with Vibration Reduction, but whatever, this is fine for now. Nikon AF Nikkor 50mm 1:1.8 D: Really good for low light photography, shallow depth of field, and macro photography when combined with the lens reverser adapter ring. Tokina SD 70-210mm 1:4-5.6: Never use it really, but might start using it again. Tamron 18-200mm: Mainly use this for video. Tokina 80-200: Not even mine, rarely used, but I bet it would look really cool when doing video work. Lens Reverser Adapter Ring: This thing lets me turn any 52mm threaded lens into a macro lens by mounting the lens on backwards on the camera. The exact one I have that is on Amazon is like $50 but I got this used for about $10-$20. Hoya ND400: Super dark filter to get around 30 seconds in pure daylight at F22, ISO100, etc. I can get even longer if I combine this filter with the R72 and the ND8 and Polarizer. Canon Polarizer: Very good filter for removing glare and saturating colors with CORRECT color. Awesome filter. Nikon ND 8x: Another darkening filter, just not as extreme. Quantaray 6X-Cross: This is a star cross filter that slices the light up into a cross shape. Quantaray Foggilizer Adds a really foggy look to your photos. Sunpak auto 433 D Thyristor: Full-blast flash, doesn't seem to be adjustable to 1/2 power, 1/4th, 1/8th, power etc. Only full power apparently. Sunpak auto 344 D Thyristor: I use this outside or quickly when on the go. Can be adjusted from full power to 1/16th power. RF602 Wireless Flash Trigger: This is used to wirelessly trigger my 344 flash (or my Photogenic studio light). Works only at 1/160th of a second or slower. Photogenic StudioMax III 160: Big studio light that plugs into the wall. I won this in a photo competition on a website called Photographer's Warehouse. Photo Basics 402 uLite Video Lighting Kit: Got this from Amazon, the lights are bright and hot. Haven't used the green screen too much. Reflector: Reflects lights and diffuses light~! Manfrotto 055XPROB Tripod: Awesome tripod. Legs and extender pole can go all over the place. Manfrotto 496RC2 BallHead: Ballhead seems to be really good, I am liking it more compared to the tilt-and-pan. Sunset PR-5500 Tripod: This was my main tripod but I brought it into the ocean with me one time and the sand got into the grooves and ruined it. Fancier WT803 Light Stand+Umbrella+Clamp KIT: Kits comes with a light stand, a small umbrealla, and a clamp so you can attach the flash and umbella at the top of the stand. Great deal. Zoom H4n: Awesome high quality sound field recorder. Adjustable Swivel Shoe Mount: I use this to attach to my Zoom H4n to my Nikon D300s . Azden SMX-10 Microphone: I may sometimes use this along with my Zoom H4n now. ATR-3350 Lavalier microphone: I am using this for video work. Seems to work OKAY, only records sound in the left channel and is omnidirectional. Seems to make a slight buzzing noise but it was the cheapest one I could find that looked reasonably good. BP1500 Calumet Backpack: Love this bag, just got it. Sima Lenspen: Love the non-brush side. 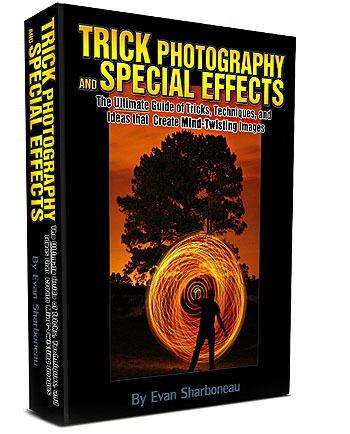 Use air instead of the brush to brush little speckles off your lens. ML-L3 Nikon Remote: Wireless remote for the Nikon D50, it can also be used to lock the shutter so you can record an exposure beyond 30 seconds in duration. This works with lower end Nikon DSLRs. Remote Shutter Release Cord: For taking exposures longer than 30 seconds. This works with higher end Nikon DSLR cameras. Roscolux: You can place these on your flash to change the color of the light. Photoshop CS5: This is pretty much the ultimate photography editing software. Don't need anything else. Photomatix (Get 15% off with coupon code "photoex"): I use this when I do HDR stuff. All the links above are my Amazon affiliate links, so if you click on one of them and make a purchase, I will get a small commission. This helps me continue create more high quality videos for you 🙂 I literally spent 2 full entire days filming this video, editing it, and creating this massive list. You’re a pretty sharp guy and creative, too. I enjoy your videos and tutorials. Cool stuff. It’s very useful for beginner like me. I’m waiting for your another creative. Thanks for sharing.. I like your video and website as well.. Could u make a tutorial about basic lighting? I love your videos! You are such a card! I very much enjoyed your Christmas lights video too. I am just getting into studio lighting and getting more serious about portraits. So much to learn! I tried the link you put up for the infrared filter but I could not find it? I would love to get one… can you share more about what it does? The 6X is cool too… will order both once I get the right link! Cheers and keep up the great work! Bonjour Evan,you are doing a fantastic job, i love your books and videos.About your photographic camera equipment,i found the video very interesting,just too bad it was not Canon…. Thanks for this information – didn’t even know that a lens reversing ring existed and for the small investment, I will be buying one to check it out. I’m a relatively new hobbyist photographer and have found you to be an incredible source of valuable information and you have made my steep learning curve a lot more informative and easier to get some great shots that probably would have taken me years to discover. Thank you Evan and I look forward to receiving more material from you. Oh, memories! In the 70’s, I worked in a photographic shop, and got all the things you mention: starburst filters, blower brush, polerizer filter, flashgun … I also had a pneumatic cable release. But then I moved into film, and a lot of the stuff was redundant. But now I’m moving back into that arena again, (currently converting a bedroom into a studio/greenroom with CFL lighting or studio flash) I’m also into video, and have built light stands to reach 3 metres, a counterweight small jib – about 4′ long that fits on a converted worklight stand and also fits to a three wheel dolly. And then there’s home built lavalier mikes, a zeppelin housing for windy days. So much stuff, had to pack it all into 7 large plastic storage boxes. I’m hoping to write all the DIY items into Kindle ebooks. Perhaps once my photo/video site is back up again, (domain expired) we can work together on online projects. Hiya. Thanks for showing everything you have. Who ever uses lens tissues anyway? They’re horrible, and they always leave lint no matter how they’re advertised. However, I would like to know what you use for cleaning your sensor if you ever have to? Cuz my images are starting to come out with worrying dots, the sensor looks visually clean to my eyes, but I’m guessing it might need a clean. I’m just worried cuz I have a history with glass and such delicate surfaces. Hey, thanks for the wonderful video presentation. Very informative and useful. I am so pleased to see that you use 18-55mm most of the time since I also have that kit lens and not those crazy expensive gear most photographers of your caliber uses. Waiting to buy your informative books also some time soon. Cheers. Your book is amazing! You’ve collected a lot of different information with bunch of examples. Thanks! HI.. Thanks for the E-so i coucld link up with you to atch your latest vid.! it was great.. the bag is great.. the reverse ring .. learned something new.. in all i’ll be on amazon shopping after this..
Hey Evan, In one of your videos you used a “reflector stand” to hold up a black background. Do you know the name of it (company / model)? You are such an amazing photographer. I’ve been watching your youtube videos everyday since the day I first day I saw it. Very informative and the presentation is so casual so its easy to learn and understand. I have been doing photography for many years but willing to learn more. The way you put the info across in your video’s are cool and informative. Thanks for the info on reflectors. And the type of studio lights you use. Most of the stuff you use is very similar to the kit I use. Even down to the drums. Out standing, i’ve got a lot of stuff including your pdf ebook and a lot of stuff from the inside. HiviZ, PsE11, El Wire etc. Keep them coming.